A few weeks ago, our team traveled to Jay Geier’s Scheduling Institute for their annual Leadership Seminar, and while we had an amazing time there, we also had the opportunity to get a lot of planning done for the year! …And Time For Some Fun, Too! 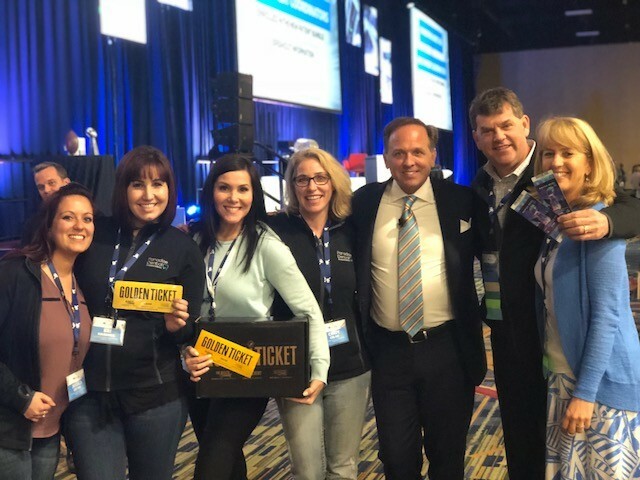 While at the conference, Dr. Stephen won the ultimate golden ticket and had the opportunity to go to the Super Bowl! On top of this amazing chance in itself, he also got to fly out directly from Orlando on Jay Geier’s private plane! While Dr. Stephen headed to the Super Bowl, Dr. Helyne treated the girls to a fun day at Epcot. We are so excited to share all of what we learned and bring the best level of patient care to you!